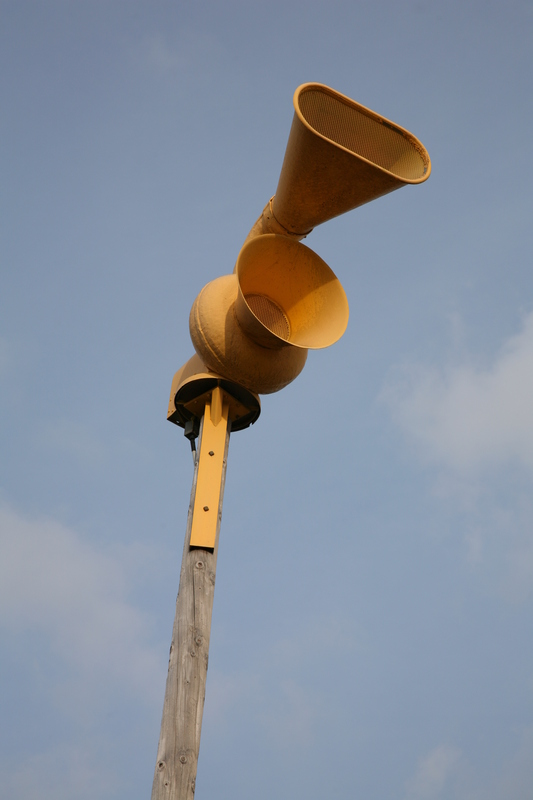 The weather sirens in Huron Township will be tested on Fridays, according to the Huron Township Police Department. The tests will begin at noon and will also include Sumpter Township’s sirens. Sirens will be tested on the first Friday of each month at the same time. The weather sirens alert Huron Township residents that inclement weather is approaching the area. During a real emergency, citizens are encouraged to seek shelter indoors and tune into their local weather resources for weather updates. If the siren is activated and there is no apparent bad weather, residents are advised to tune into local TV and radio stations for possible public service announcements, which may be related to a non-weather emergency condition. Activation of the weather sirens is necessary in the event of inclement weather; such as winds in excess of 65 mph, large hail, tornado warnings, and/or a non-weather emergency condition, including a hazardous material spill, wildfire, or nuclear power plant condition. The sirens can also be activated at the direct order of either the chief of police, township supervisor, and/or his designee. Sirens can also be set off if a police officer visually observes a funnel cloud and no previous warnings have been received by dispatch. Have something to say? Sound off in the comments section below this article, or visit our Facebook and Twitter pages to interact with us. This entry was posted in Events, Front Page News, Government, Other News, Police & Fire on May 4, 2016 by Scott Bolthouse.